Autism Stretch Charm Bracelet. This stretchy bracelet adorns any outfit. 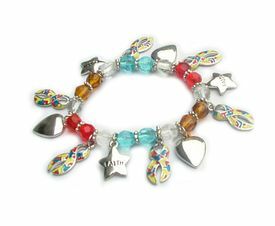 It is surrounded by autism charms, heart charms, and star charms that have FAITH written on them.